Nº of participants: from 2 people (from 2 to 6 people transportation it’s on your own/optional rental car with or without chauffer) From 7 people this tour is guided and on private bus. You will not only discover a route of amazing Dali,s surreal art, gorgeous villas and castles , lovely beaches and exquisite wineries, but you will also find out a cuisine that is unique ,imaginative and varied: in no other place except in this region, it is known how to mix with as much deftness and imagination, all types of produce from both the land and the sea. Through combinations called “Surf and Turf’ or fish and Meat the Catalan chefs are able to marry both worlds with a result of sophisticated dishes which would seem to have been designed by Dalí. During this culinary tour we will enjoy some “hands-on” cooking classes at prestigious cooking schools at Barcelona and at Costa Brava , to bring you up on the most traditional recipes of Catalonia as well as a few avant-garde recipes called “Cocina de Autor “. 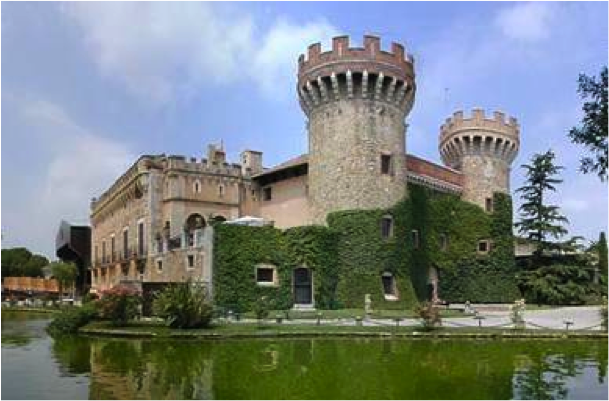 One of our winery visits will be in the stunning Castle of Peralada, a perfectly preserved medieval village at the base of The Pyrenees. Peralada is the official wine centre for wine originating in Empordà, and down in its celebrated cellars, where the Carmelite monks had made wine from the fourteenth century, the best wine and cava (sparkling wine) are produced with great care. Other unique culinary activities we will experience during this vacation will be some visits to artisan food producers, the local fish port or Palamós, a tapas tour around the Gothic quarter of Barcelona, a wine tasting guided by a professional and more¡ You will be amazed….. Welcome lunch or dinner at a typical restaurant in the heart of Barcelona. Our friendly guide, will meet you at your hotel. You will then head to Casa Batló, 5 minutes walking from your hotel, an amazing Gaudi creation just in the center of Barcelona. We will then visit the amazing Sacred Family and Park Gúell . Of we go for a lovely walking tour among the magical medieval narrow streets at the Gothic old historic quarter. Enjoy its amazing cathedral and its environs which include the Romanesque church of Santa Llúcia, the City Hall ….. Antique dealers, bookshops, restaurants, and unusual shops maintain the activity of this historical district. Afternoon free to explore fascinating Barcelona. Dinner on your own. Our meeting point will be the Boqueria Market, just 15 minutes walking from your hotel. Situated in “ Las Ramblas” , a famous cheerful pedestrian street with traditional shops, the fresh market of “la Boqueria” is one of the most spectacular and nicest food market in Spain. It is famous for the quality and diversity of its produce which comes from around the world. It is located on a site originally intended to be used as the courtyard of the church of Sant Josep. We will meet our chef to buy the ingredients for our cooking class. We will finish with a delicious lunch based on what we have prepared accompanied with excellent Spanish wine. We will then head to Costa Brava, just one hour and fifteen minutes from Barcelona. Check in your 4* Hotel, well known for its great views to the Mediterranean sea and beautiful surroundings, the ideal place to disconnect while you enjoy a magical ambiance and taste superb Mediterranean dishes prepared by its Chef. We will visit a 200 year old cellar where its owner will guide us through a fascinating commented tasting of different Spanish wines from the region. Free time for you to explore the beautiful seaside resort of Calella, have a coffee or drink at a terrace by the sea or do some shopping. Dinner on your own. Full day excursion to the stunning Castle of Peralada, just one hour from our hotel. The Cellar Master will give us an intimate tour through the vineyards, the winery, the museum, followed by an informative wine tasting down in the cellar, where the prestigious “Cava Gran Claustro” is produced. We will also visit the Carmelite monastery with its outstanding collection of glass and crystal ware, its magnificent library and wine museum. Lunch based in regional cuisine will follow in a traditional Masia (catalan traditional house). Day 5 – B/L Ancient and Jewish Gerona. 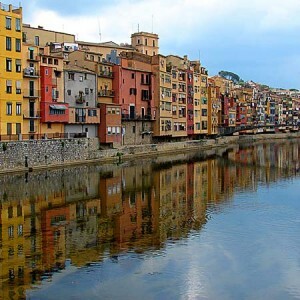 Within 40 minutes, Gerona, the great unknown, the “City of the Four Rivers”, has all the charm of big cities, but without the crowds, and has a historic centre dominated by medieval buildings and Roman reminiscences, Arabic and Hebrew, to captivate. We will discover the ancient city of Gerona, with its medieval narrow streets, Arab baths, and stunning 15th century Gothic cathedral. You will walk around with an expert guide, its medieval buildings, visiting the Cathedral and the church of San Félix Carolingian walls, the University Square, the Jewish Quarter (one of the most important Jewish communities in the network of Spanish Jewry) entering the fascinating Jewish Museum, and the district union. Lunch will be at a prestigious restaurant. Optional: booking at Celler Can Roca “best restaurant of the world 2013. Afternoon and dinner on your own. 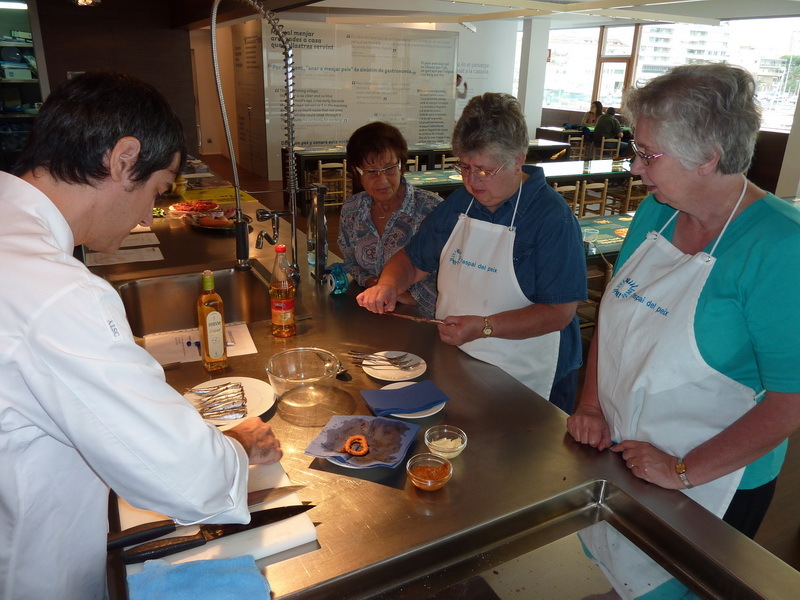 Day 6 – B/D Jams, virgin olive oil and 2nd cooking class. In the morning we will visit a jam and preserves Factory/museum. The visit includes an introduction to the museum and its contents, as well as a demonstration in the workshop of the different methods for producing jams and preserves. Participants contribute to the final production of a preserve, potting it and creating a sticker for the jar, which they can then take home as a gift. The visit ends with a tasting of different jams and preservers and a glass of sparkling wine. We will then visit an olive oil mill and learn about the “gold liquid”. Tasting of the virgin olive oil they produce. Lunch will be on your own at a charming medieval cobblestoned village. Around 4p.m guided visit to the “Lonja” at the Fishing port of Palamós to welcome boats coming back from a hard day of work and where the fresh fish of the day is sold. You will then visit the beautiful and interesting Fishing museum and learn about the fishing methods, modern and ancient ones and know the fish specialties and catches of our seas. 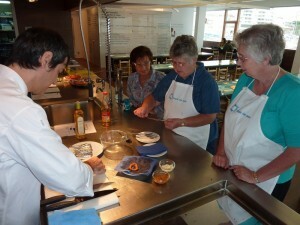 We will then finish the day with a second hands on cooking class at the Cooking school of The Fishing Museum. A spacious and prestigious school where you will learn the best specialties of the Mediterranean Cuisine. Farewell dinner of your cooking efforts with fine wines of the region. Private Gaudí art and tapas tour with English guide including tapas dinner with wine and other beverages, entrances to Sacred Family and Park Gúell and transfers. Private and guided excursion to Gerona including entrance to Cathedral and Jewish museum. Private excursion to Perala Castle and Figueres, visit to Winery and Dalís museum, including entrances, guided visit, wine tasting, and lunch with wine. 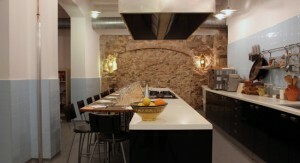 2 hands-on cooking class at prestigious cooking schools , 1 at Barcelona and 1 at Costa Brava, including meals with wine. * Menus will be not “a la carte” and will be fixed before hand by Culinary Spain. If there is any food you are allergic to or cannot eat, please inform us before your travel. For groups from 2 to 6 people, round-trip transfers from airport and domestic private transportation with guide. Booking at restaurant “Celler can Roca” or other restaurants of your choice. Personal expenses and tips. (Additional vintage bottles of your choosing, mini bar, telephone, etc.